Now that you’ve read Part 1 & Part 2 and (hopefully) understood some of the hurdles to perfectly matching boards to achieve a unified whole, you may be ready to throw in the towel. Maybe it’s just not even possible to achieve the gorgeous decks you’ve seen in photos. Perhaps they’re touched up, just a bit? Before you give up, I have good news: It really can be done. You just have to know what to look for and how to find it. If you start with a conscientious dealer, you’re about half way there. 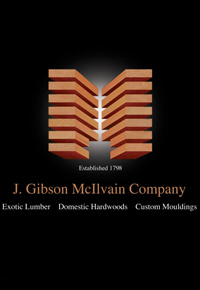 (Of course, we highly recommend our own services (www.mcilvain.com), but if you decide to look elsewhere, look for a company that has more than a few years’ experience under their belt and does not promise the lowest prices. Competitive pricing is good; cheap is not.) 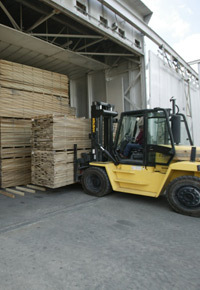 A dealer who knows the origin of each pack of lumber as well as regional distinctions can easily help narrow down your options. 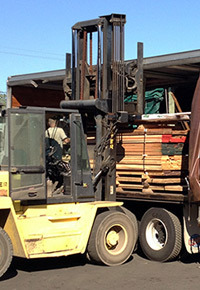 When you tell the dealer you want matched lumber, you may be met with mockery — or an astronomical price tag. If you’ve read the previous two articles in this series, you can understand why. But don’t lose hope. 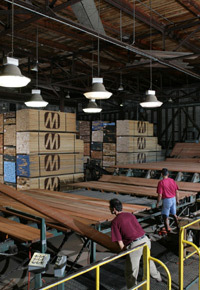 If you’ve been around the lumber industry long at all, you realize that there are many limitations to the grading systems used. While “top grade” lumber will certainly yield a relatively defect-free board, it really means nothing when you’re concerned about color consistency. This issue is particularly the case when you’re buying tropical decking lumber, especially since the B grade decking lumber never makes it to our shores, in the first place. At the end of the day, there are some fairly simple (if not necessarily easy) steps you can take to increase your chances of that perfectly matched deck you desire. First, buy extra lumber. I know, I know, but it’s really the only way to improve your chances of matching without paying an arm-and-a-leg for your lumber supplier to do it for you. (Each time they separate a pack and move it out of the way, it costs you extra money. If you’re going to pay extra, you might as well have some extra boards to show for it.) How much extra should you buy? About 20%. Secondly, be patient. A lot of the color variation you see in freshly milled decking boards will become more subtle over time. Clean it up, let it sit in the sun, even sand it a bit. Even though it won’t look quite as perfect as you’d hoped, if you add deck oil, you’ll be surprised at the improvement. When you find a board that doesn’t seem to match the color you’re after, try flipping it over before you toss it aside. Third, remember why you want to use real wood in the first place: It’s unique, and its variations are part of its beauty. If you didn’t think that, you’d use something else.